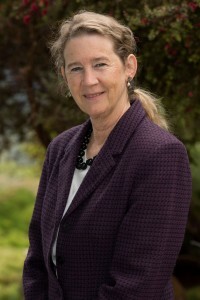 Rebecca Moore is Professor Emerita of Religious Studies at San Diego State University. She has written and published extensively on Peoples Temple and Jonestown (listed here), including her book Understanding Jonestown and Peoples Temple (Praeger, 2009), and an extensive description of the Temple appears at the World Religions & Spirituality Project at Virginia Commonwealth University. She also kept a blog throughout 2108, the 40th anniversary of the tragedy, called The Jonestown Journal (2018) . Rebecca is also the co-manager of this website. She may be reached at remoore@sdsu.edu. Rebecca Moore also edited two collections of letters from her two sisters who died in Jonestown. Letters from Annie Moore and Letters from Carolyn Moore Layton appear in the Primary Sources section of the site. In addition to writing the articles above, Rebecca Moore appeared as a speaker during the Griot Institute of African Studies lecture series entitled Jonestown: 35 Years Later at Bucknell University; her presentation appears on this page (scroll down the videos).